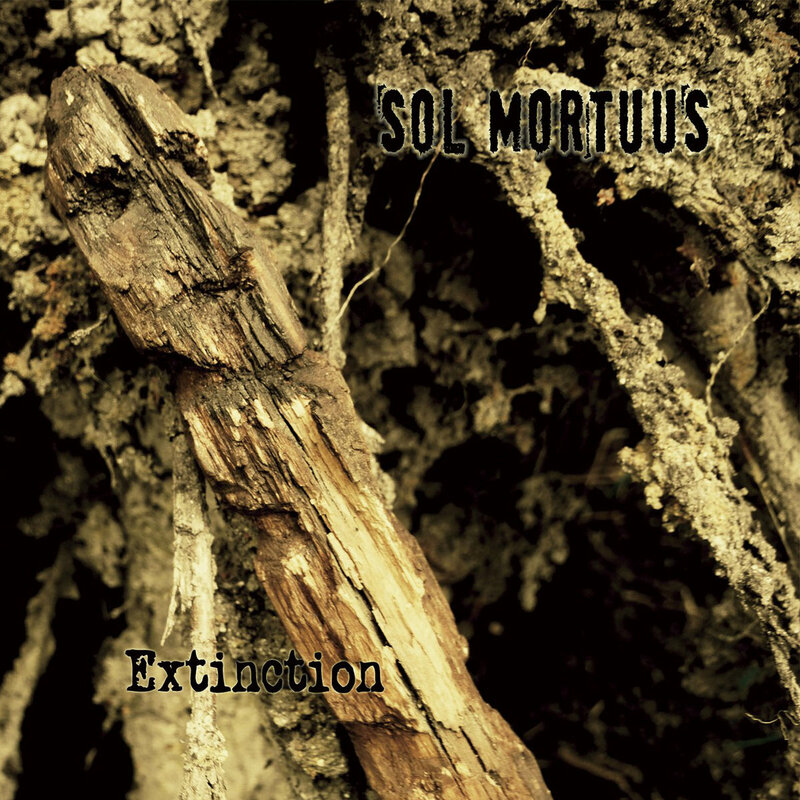 Sol Mortuus is the project of the Yekaterinburg-based musician named Kein, who played in the 90-ies in a well-known underground Russian atmospheric black metal band Thy Repentance and later got carried away by experimental ambient sound. Under this name he has already released the album "Black In The Green Wreath" on a split with Zinc Room (2014, Evil Dead Productions, EDP 014) and a couple of tracks on compilations. Kein is also the author of such projects as Scratching Soil, Carved Image Of Emptiness, Church Of Howling Dog and is a member of Prognostic Zero and Zinc Room... "Extinction" was recorded in 2014-2015 and dedicated to a life in decay, under a dying Sun, or possibly Three Suns? This is slow, thick and viscous rhythmic ritual ambient evoking spacious desert images (although everyone has their own visions). Aside from the essential synthesizers which play a background droning role here, a lot of acoustic instruments were used in this recording: cello, mandolin, blockflute, kaluka, vargan, buben and various percussion. The album sounds whole, it seems the tracks bleed one from another but at the same time each of them carries its own story built on the interpretations of the ancient Ural legends and tales of the northern peoples. Limited edition of 300 copies.